What Is The Secret Ingredient That Makes Everyone Want A Bentley? Bentley has always been the "dark-horse" of the ultra-luxury market. You may not know it by looking at the brand today, but early Bentley cars were very successful in motorsport. To keep the racing heritage alive, the company still does a spot of racing with cars like the Continental GT3, but if you ask any anyone on the street with the last name "Kardashian," you'll be told that Bentleys are one of the most expensive and glamorous luxury cars in the world. So what is Bentley's secret ingredient? Is the company just a slightly less prestigious version of Rolls Royce, or is there something more to it than that? If you look through Bentley's history, you may recall that at one point, Rolls Royce actually owned Bentley. During the Great Depression, demand for Bentleys diminished, and the company couldn't pay its bills. In a bid, the British Central Equitable Trust bought the company. In reality, this trust turned out to be a front for Rolls Royce Limited. Not even Mr. Bentley himself knew that his company was just bought by Rolls Royce. The two companies worked together until the late 1990s when Volkswagen and BMW engaged in a bidding war to buy the brands. In the end, Volkswagen got Bentley, BMW got Rolls Royce, and the two brands were taken in very different directions. During the 1990s, Rolls Royces and Bentleys were not that different from each other. Today, the cars have very distinct focuses even though both are categorized as luxury vehicles. Rolls Royces are built with nothing but comfort in mind. Bentleys are also built to be incredibly comfortable but not at the expense of driving enjoyment, an essential ingredient given the marque's motorsports pedigree. When you drive a Bentley, you get the impression that you are driving something capable. We doubt that any Bentley owner will ever take their car to the track, but it's nice to know that your car won't roll around like a porpoise if you ever decide to drive aggressively. Rolls Royces are best enjoyed from the back seat, Bentleys are meant to be driven. Bentley's secret ingredient is the ability to create incredibly comfortable cars that somehow maintain sporty characteristics. 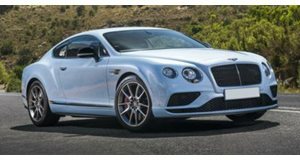 The modern Bentley was created when Volkswagen first revealed the Continental GT: the first Bentley model that was truly built for the 21st century. This car was so successful that it is still in production more than a decade later, and it helped show that Bentley wasn't just a stuffy old British brand that couldn't build interesting cars. The Continental GT was based on the Volkswagen Phaeton, which despite some branding problems was arguably one of the greatest cars ever made. This meant that the Continental was exquisitely engineered. The company didn't just abandon its "old fashion" cars. The company replaced the Azure with the Mulsanne, which is a very different beast. The Continental comes with VW's highly advanced W12 and a very modern Audi-developed twin-turbo V8. 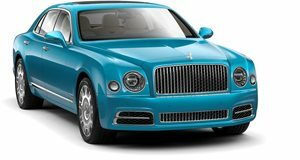 The Mulsanne, on the other hand, comes with a 6.75-liter V8 (now with two turbos) known as the L-Series, which was developed almost 60 years ago. Today, this engine produces 530 hp and 811 lb-ft of torque in the Mulsanne Speed, which shows that Bentley can make old technology work in the modern era. Bentley manages to perfectly blend modern technology and performance with its historical roots and the result is the creation of some of the best vehicles in the world.